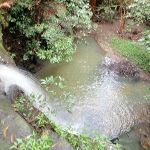 This short walk explores a set of cascades, finishing at the top of a small waterfall. From the road, the walk follows the creek to a bridge just near the waterfall. You will often see rosellas feeding in the clearing near the first bridge. From Troon Place (before road bridge), this walk follows the ‘Sheldon Forest Track’ sign down the track. The walk crosses the wooden bridge into the small clearing. The track then follows behind some houses and the river bed until it arrives at another bridge near a waterfall. This whole walk, 180m has gentle hills with occasional steps. 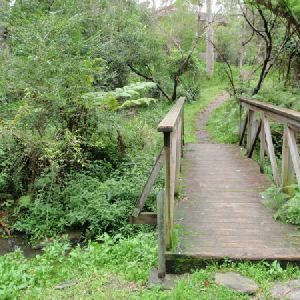 This whole walk, 180m follows a clear and well formed track or trail. This whole walk, 180m is clearly signposted. This whole walk, 180m requires no previous bushwalking experience. This whole walk, 180m is not usually affected by severe weather events (that would unexpectedly impact safety and navigation). This whole walk, 180m is close to useful facilities (such as fenced cliffs and seats). 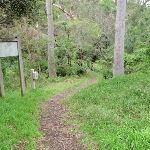 A list of walks that share part of the track with the Sheldon Cascades walk walk. 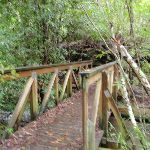 A list of walks that start near the Sheldon Cascades walk walk. 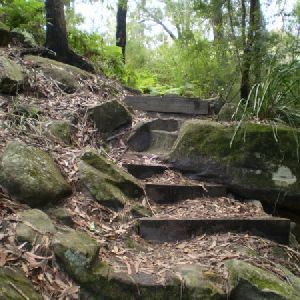 This walk goes to Whale Rock, from the sporting complex at the end of Canoon Rd, Turramurra. The walk follows Devlin’s Creek for the most part, winding through the valley. 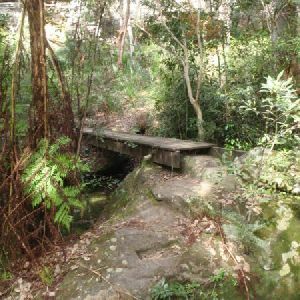 A great way to see the Lane Cove Valley, and explore the sandstone and fern filled scenery. One of the most enjoyable walks in the Lane Cove valley, this relatively short trail ventures down into the valley and explores a variety of bushland. Spend a short while and go out to the scenic lookout and take your time around the waterfall. The track is pretty well signposted with a few information signs explaining some features. 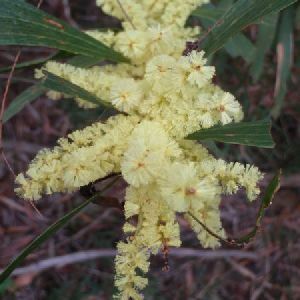 This walk was established by STEP a community based environmental organisation, based in South Turramurra. 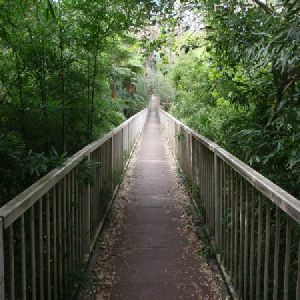 This is a short walk down into the Lane Cove Valley, crossing the Lane Cove River, and out the other side. 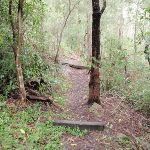 The entire track is concrete, making it a favourite trail for bike riders taking the short cut from Turramurra to Maquarie University. There are picnic tables at Browns Water Hole. 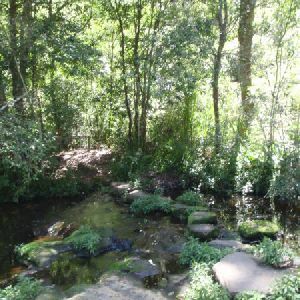 Following a section of the Great North Walk, this popular walk is well signposted and maintained. 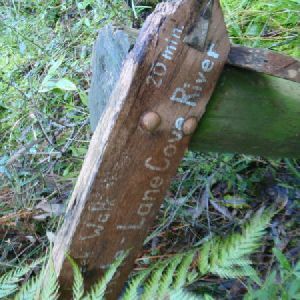 There are good views of the Lane Cove River as the track passes along the side of the ridge to the north. 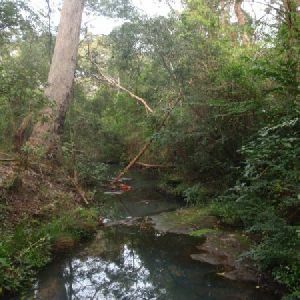 In several sections the track goes down to smaller creeks (some of which are polluted). 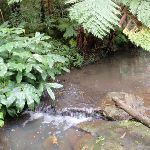 Watch these creeks after rain as the boulders and small bridges can become quite slippery. 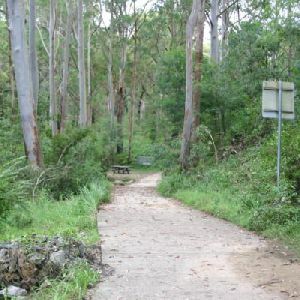 This walk is a popular track being close to roads, yet surrounded by nice tall trees. 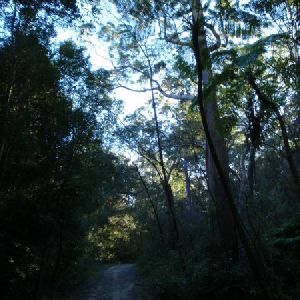 The walk heads down hill with tall eucalyptus surrounding the track and providing shade for most of the walk. Convenient access to the start of the walk from Gordon Railway station is another feature of this walk. This rock formation really does look like a Whale. The walk down from Boundary Rd is the shortest and easiest way to see Whale Rock. 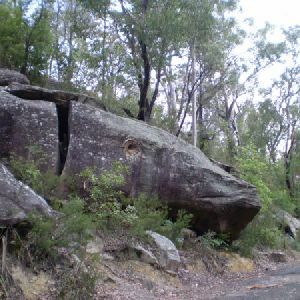 The walk follows a management trail the short distance to an intersection where you will find Whale Rock. This walk starts at the end of Boundary Rd in North Epping. 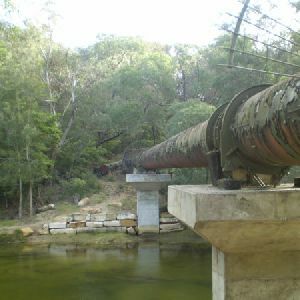 http://new.wildwalks.com/wildwalks_custom/includes/walk_fire_danger.php?walkid=nsw-sfrp-scw Each park may have its own fire ban, this rating is only valid for today and is based on information from the RFS Please check the RFS Website for more information.